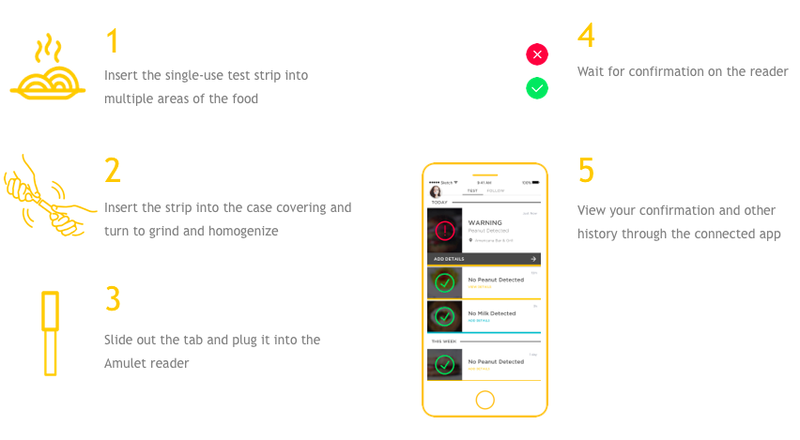 a fast & portable food allergen & ingredient detection device. Restaurants are responsible for over half of all food allergy fatalities. This is a statistic we are trying to change. the reader alerts them if the target allergen/ingredient has been detected. Most allergic reactions occur outside the home. So we married function with fashion. Sign up for our newsletter and stay informed of developments! Which foods do you avoid? Sign up to receive all future posts!